Okay. So you've been eating Paleo for quite a while now and you're dealing easily with everyday situations. You can eat out, no problem. You've even learned to eat before hand when going to parties where you know there won't be anything you want to eat. But now you're the one having the party, and you have to please everyone - not just your Paleo friends and family. What can you do? 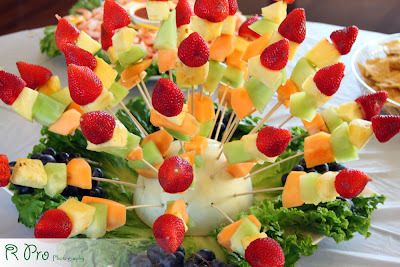 Below are some quick, simple and easy party staples that I find always go over well . 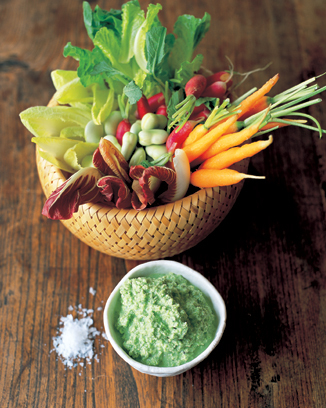 For any party, you can't go wrong if you start with crudites. Even though most people profess not to be great vegetable fans, it always amazes me how quickly this platter disappears, especially if I provide a few tasty dips. There are many innovative ways to serve this. 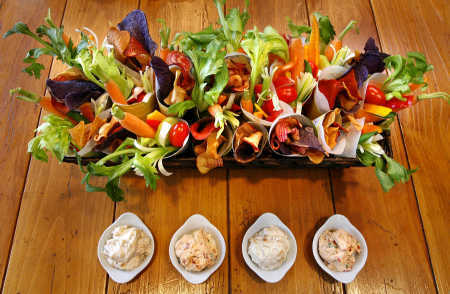 You can use individual cones to hold a serving of vegetables as they do above. Or use a more relaxed approach as favoured by Jamie Oliver with his back-to-basics vegetable basket. A cheese board is always a favourite as well as Paleo friendly. 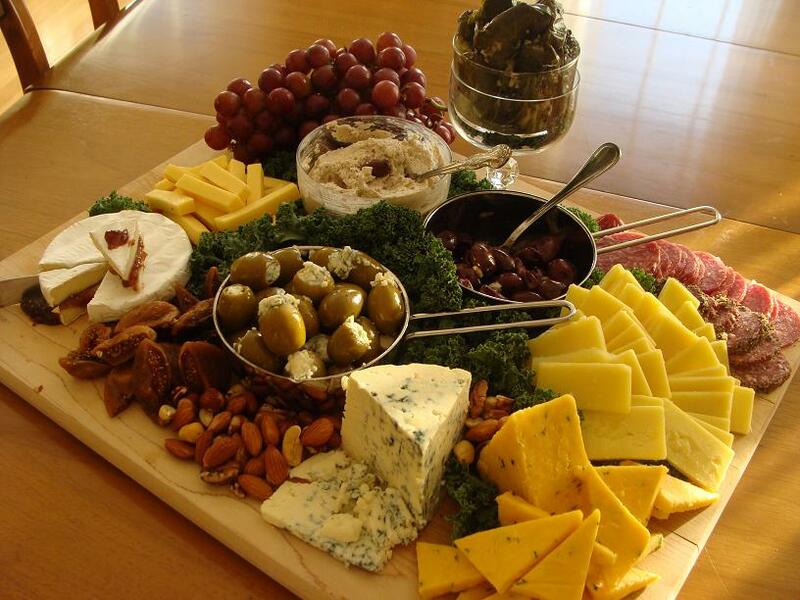 Splurge on a collection of gourmet cheeses and your sure to please most people. If you add a few extras like they've done above - pate, cold cuts, olives, nuts, figs and grapes - you really don't need too much else. 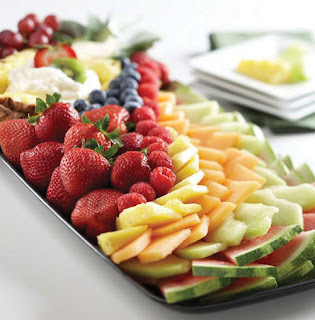 A board like this one plus a cruditee platter will keep everyone happily and healthily munching through the whole party. If you want to make your own pate, this one served with Cumberland sauce is a bit time consuming to make, but it's pretty easy and makes a great presentation. 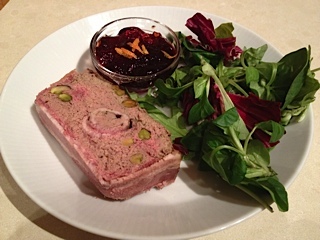 Or you could make this quick an easy pate recipe. 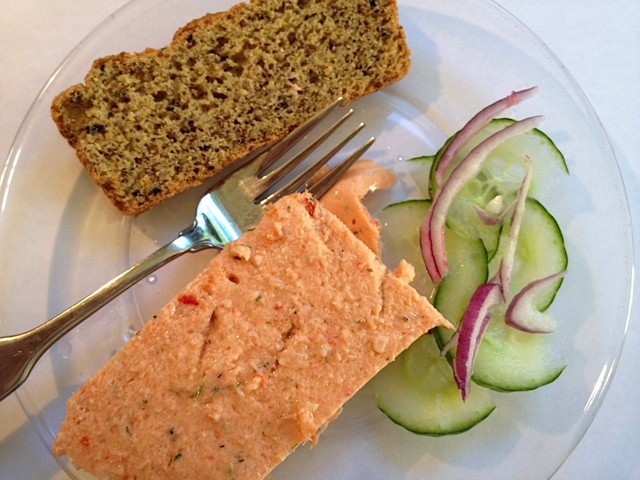 You could also add a salmon mousse to give your guests even more of a choice. By the way, if there isn't a gourmet shop in your town, Amazon has a great selection of all of the above that can be delivered to your door. 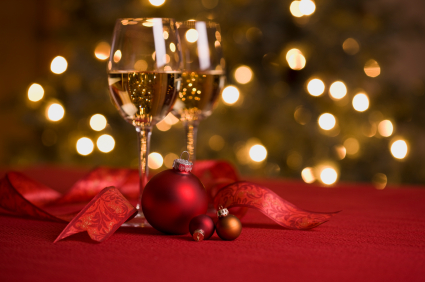 Quick and easy shopping and one more thing to check of your party To Do list. 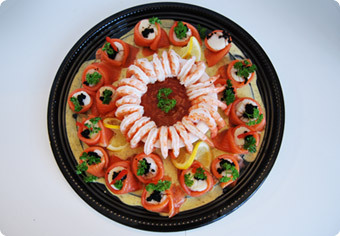 If you really want to splurge though, you could add a platter of seafood treats. This one above looks fancy, but is very quick and easy to do. Fill a bowl with cocktail sauce and surround it with cooked shrimp. Spread slices of smoked salmon with cream cheese, roll, and decorate with parsley and - if your budget allows - a little caviar. Garnish the platter with lemon wedges and you're done. You can create your own version of a bought party platter for half the price just by putting a jar of cocktail sauce in the middle of a lettuce lined platter and arranging bought cooked seafood around it. Even if all you can afford is some shrimp, this can still be very effective. 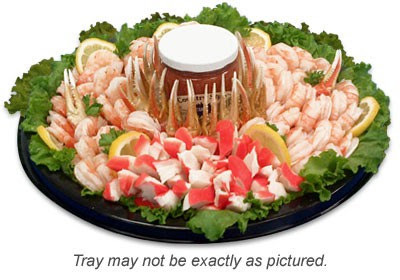 Of course it all depends upon your party budget, but if you really want fresh seafood and you're not anywhere near the ocean, Amazon has sellers that will happily supply you with anything you desire. Of course most people will want some bread or crackers to go with all this. No problem. 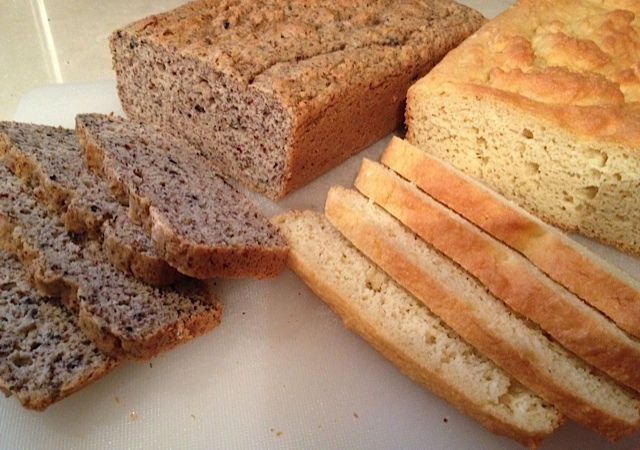 You can use my Paleo bread recipe. Make the olive bread and rosemary version, let it cool overnight, then slice it very thin (about 1/4 inch thick) Lay the slices on a couple of baking sheets and bake them in a 350' oven for about 15 minutes, watching to make sure they don't start to burn. When they are just starting to brown. Take them out and let cool. These will make the best tasting crackers you've ever had. 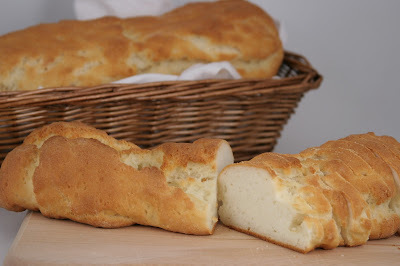 You can also serve a basket of gluten-free French bread for those who prefer something soft, and of course have lots of good quality butter available as well. 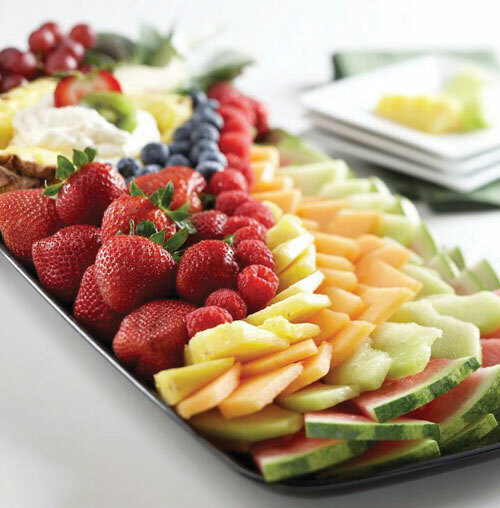 For dessert, you can't beat a fruit platter. 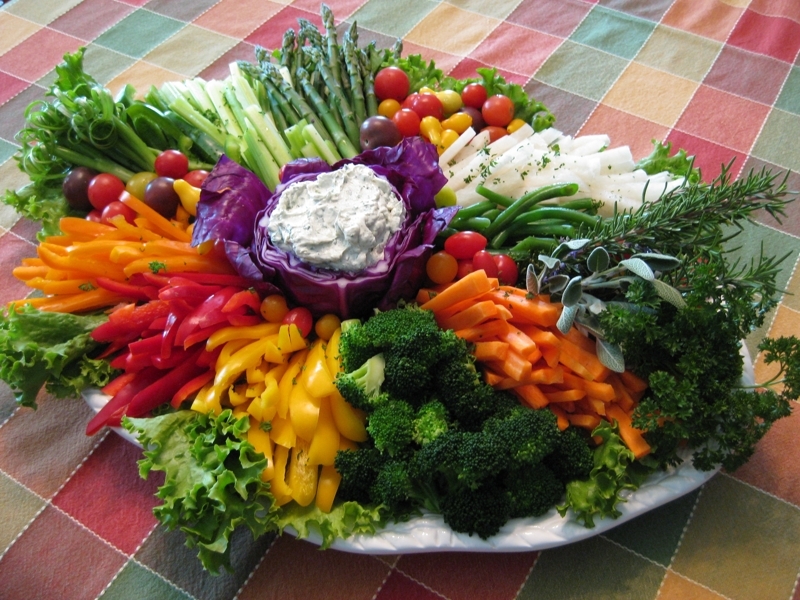 Just like the vegetable platter this is simple, basic and a crowd pleaser. 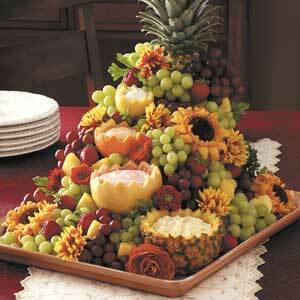 Or use it to create a stunning centrepiece for your buffet table. With this spread, you can be sure your guests will have more than enough to eat and it won't take you hours in the kitchen to create it. But what if you want to offer something else sweet to finish? No problem, and no need to cook. There is always the Paleo eaters best friend - dark chocolate. 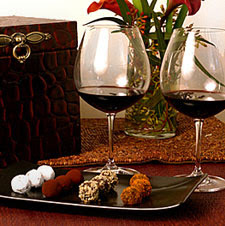 Offer a tray of chocolate squares - or better yet, chocolate truffles - by the wine. 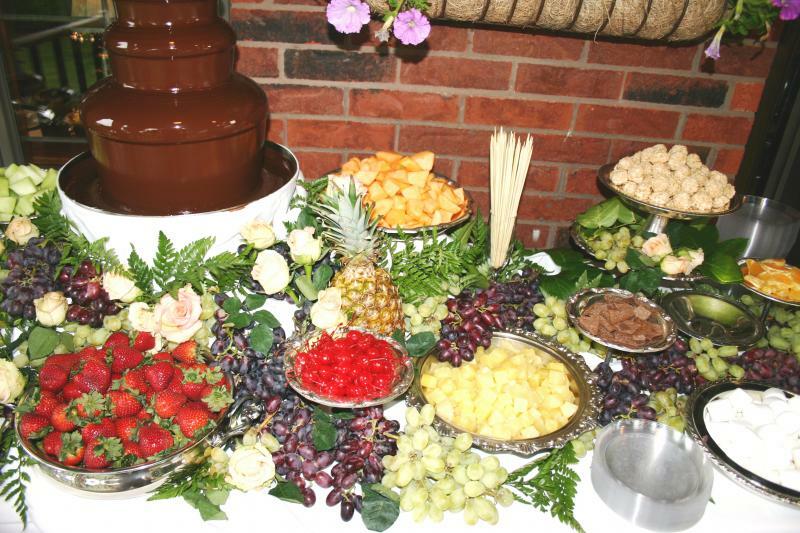 But if you really want to wow them, offer your guests a chocolate fountain for them to dip their fruit into. This is something your guests will definitely remember. You can buy one very cheaply from Amazon. Then again, especially if children will be a part of your party you might want to add a couple of plates of sweet baking. 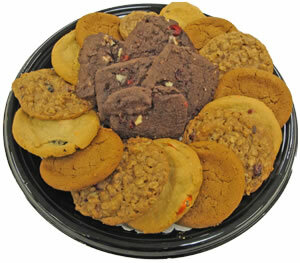 Cookies such as my easy 4-ingredient cookies, gingerbread cookies or spicy walnut cookies would work well. So will lemon bars or pecan bars. 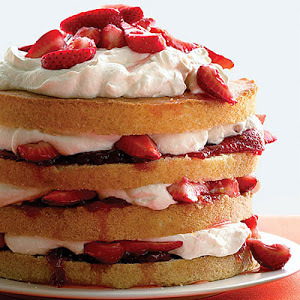 I would stay away from cake, only because it can be messy, but if you really want to serve one - like for a birthday for instance, then try my dark chocolate cake, my spicy carrot cake, or a spectacular fruit shortcake. If you like this recipe you'll find others like it in my Christmas recipe book 10 Easy Christmas Party Recipes. There are three books in my Christmas Collection and together they will give you all the recipes you will need to have a great holiday season. Even though you can now see there are lots of options, if you really want to make it as simple as possible, you don't have to cook a thing for your party to be successful. 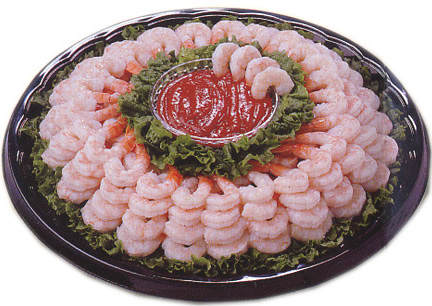 Buy the food I've suggested, arrange it on platters, and your party will be a gourmet hit. You will be relaxed enough to enjoy it, and all you'll have to do is sit back and accept the compliments. Now that's the way to throw a party!